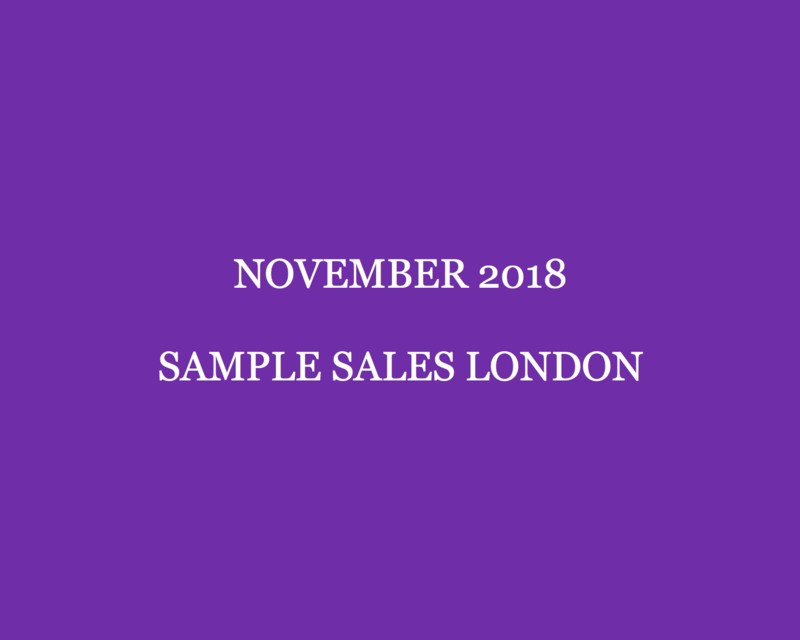 As the countdown for the festive season is on, you can’t afford to miss the November London sample sales! It’s the perfect opportunity to find gifts for yourself and your loved ones at amazing prices. No need to break the bank! 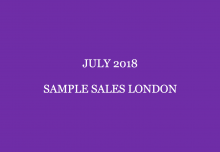 Before you scroll down below for an overview of the most interesting London sample sales don’t forget to read ‘Sample sale shopping tips‘ and ‘Tips to say yes to the sample sale wedding dress‘ (if you’re off to a bridal sample sale). 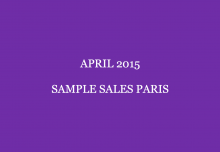 Can’t make the November London sample sales but still want to save money on Christmas gifts? Read my 5 Easy Tips To Save Money On Christmas Gifts and check out the Steal Of The Day category for deals as good as those to be found at sample sales. Shop a steal from wherever you are. The long awaited A.P.C. and Isabel Marant sample sale has arrived. During 4 days you can find steeply discounted items (up to 80% of) from A.P.C., Isabel Marant, Vanessa Seward, Ulla Johnson, Star Mela and more. Prices? Snap up a steal from just £20 PLUS get an additional 30% off when you buy 3 or more items. Find womenswear and menswear, jackets, dresses, shoes, coats, denim, knitwear and more. 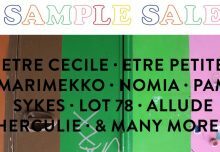 Want to see what was available at the last sample sale? Read our review For Something French Go To The A.P.C. & Isabel Marant Sample Sale here. On Thursday 15 – Friday 16 (11am-8pm (last entry 7:30pm), Saturday 17 (11am-6pm) and Sunday 18 November 2018 (12pm-5pm) at The BOX, 4-6 Ram Place, London E9 6LT. Can you say no to the Ellery sample sale where you can shop ready-to-wear and archive pieces at up to 70% off? On Saturday 17 (10am-7pm) and Sunday 18 November 2018 (11am-6pm) at Protein Studios, 31 New Inn Yard, London, EC2A 3E. Just in time for Christmas, get ready for the Mulberry sample sale! Say hello to heavily discounted bags, shoes, ready-to-wear, wallets, etc. On Wednesday 21 – Friday 23 (8am-8pm), Saturday 24 (9am-8pm) and Sunday 25 November 2018 (12pm-6pm) at 12 Regent Street St James’s, London, SW1Y​ 4PE.